Happy Together stars Damon Wayans Jr. and Amber Stevens West in a comedy about a 30-something happily married couple who begin to reconnect with their younger, cooler selves when Cooper, an exuberant young pop star drawn to their super-ordinary suburban life, unexpectedly moves in with them. Damon Wayans Jr. (Jake) is an American actor, comedian and writer most widely known for starring as Brad Williams in the ABC sitcom Happy Endings and as Coach in the Fox sitcom New Girl. He has also starred in films such as Big Hero 6 and Let's Be Cops. Amber Stevens West (Claire) is an actress best known for her roles as Ashleigh Howard in the ABC Family series Greek, Maya in 22 Jump Street, and Maxine in the NBC sitcom, The Carmichael Show. Last season she starred in the sitcom Ghosted on Fox. Felix Mallard (Cooper James) is best known for his role as Ben Kirk in the Australian soap opera Neighbours. Happy Together will be his first starring role in the US. Chris Parnell (Wayne) is a comedic actor best known for his role as a cast member on Saturday Night Live from 1998 to 2006, his recurring role as Dr. Spaceman on 30 Rock, and his voice talents as Cyril Figgis on Archer and Jerry Smith on Rick and Morty. He has also co-starred on sitcoms such as Suburgatory and Miss Guided. Happy Together is one of those shows that is completely held up by its cast. In the hands of just about anyone else, this show would likely be unwatchable - the writing isn't particularly strong, the concept is a little silly, and the characters are sort of broad archetypes. And yet, the show is pretty watchable, and even enjoyable at times. That's because its two leads - Damon Wayans Jr. and Amber Stevens West - give it their all. 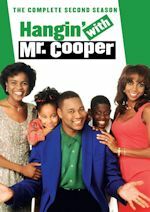 The writing may not be as smart as it was on the sitcoms both are likely best known for (Happy Endings and The Carmichael Show, both of which suffered cancellation after three seasons but became critical and fan favorites), but Happy Together is probably more likely to appeal to broad audiences and become a huge hit. Not saying it will, necessarily - CBS isn't exactly the hit sitcom factory it was 5-10 years ago - but it's possible. And if that's what it takes for these excellent actors to be introduced to the general population, then I'm fine with it. Plus, I do think there is potential that Happy Together taps into its potential a bit and lives up to the promise of its leads. 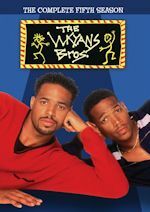 CBS sitcoms this decade often just stay on one track and don't rise to greatness, but that's not always the case - it wasn't with Mom, after all - and Wayans Jr. and Stevens West have such great, easy chemistry that even just serviceable writing could lead to a good show. Felix Mallard also does well at making a role that could be cloying into someone with some heart and understanding, and of course Chris Parnell is a comedic force no matter what he's doing. Again, yes, much of my praise is of the cast, but the writing and jokes aren't great but - hey, most new sitcoms aren't, and they aren’t bad enough that I find it unbelievable that things couldn’t get better. I really hope it does, because it would be a shame for a cast this good to be toiling in mediocrity, and this show has the potential to be much better than that. Happy Together is completely saved by its cast at this point, but the cast is giving it their all - if the writing and jokes could just improve a bit, this could be a show to keep an eye on. While it might not ever reinvent the wheel, it could at least become a solid, enjoyable little sitcom with some really talented cast members. Let's hope it can live up to that potential and do right by its talented stars. Discuss the show after you watch it on Monday, October 1, 2018 at 8:30PM ET/PT on our message board. A group of three retirement home friends are determined to prove that there is still much for them to accomplish in life despite their age. On her 65th birthday, Margaret doesn't feel like celebrating. However, Hank, Sid and Charlie insist on taking her out for a "good old-fashioned young person's night" at the local club, which leaves them all feeling older - and more hungover - than ever. Charlie and Hank create online dating profiles, and to boost their egos, Sid pretends to be an interested woman. Of course, the plan goes awry. Tired of "Gorgeous George" and his reign as activities coordinator, Hank backs Charlie and Margaret backs Sid for the position in the upcoming election, and it instantly turns dirty. The Cool Kids comes from the It's Always Sunny in Philadelphia team. It's produced by 20th Century Fox Television, in association with FX Productions and 3 Arts Entertainment. Charlie Day, Patrick Walsh (Living Biblically, 2 Broke Girls) and Nick Frenkel (The Mick, It’s Always Sunny in Philadelphia) are executive producers. Emmy Award winner Don Scardino (30 Rock, 2 Broke Girls) directed the pilot. In the "Pilot" episode, we meet the members of the Shady Meadows retirement community. Hank, Charlie and Sid raise a toast at breakfast to honor their departed friend, Jerry. They talk about possible replacements. Hank suggests they honor his legacy with an empty seat at their table. Margaret arrives and takes the seat, but Hank says she can't sit there. Margaret asks who they are and if they are the cool kids. Margaret and Sid decide to arm wrestle for the seat. The guys talk about a service for Jerry. Hank wants to have a farewell party at the center. Sid has Jerry's credit card. A deliveryman rolls in a keg of beer. When he asks for a photo ID, the guys make a run for it. The staff member Allison confiscates the credit card. Sid later talks to Margaret and tells her there are ways that she can earn the seat through him. Margaret shares a story with Sid in her room. Hank attempts to auction off Jerry's seat. Hank says they should drive to the morgue to get Jerry. Hank drives the group before they are pulled over by a cop. Hank puts the vase with Jerry's cremated remains on a table before it falls to the ground and breaks. Margaret puts together a farewell party for Jerry. Hank tells Margaret she should take Jerry's seat on a probationary basis. The "Pilot" episode is very well put together and entertaining. It provides a good introduction to the characters in a short period of time. The jokes are very rapid fire and are funny for the most part. The only part that I didn't care for is when Hank said that they should pretend to have Alzheimer's when they are pulled over by a cop. As anybody who has or had a loved one with that terrible disease, it's not something that should be joked about. Hopefully they tone down any jokes about losing memory, even though it's a reality of being older. The other jokes are somewhat cheesy and corny, but the delivery and performances by the cast often make them work. 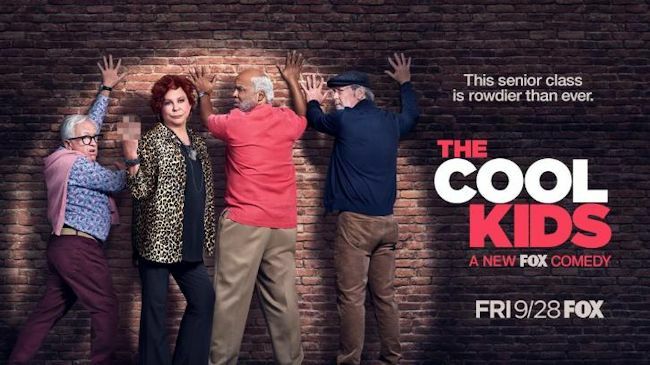 The Cool Kids has assembled an all-star cast of comedy veterans. David Alan Grier has been the most visible on television in recent years. He's only 62 years old, so it's a little hard to buy him as a member of a retirement community. He's made to look older with gray/white hair and a beard. Martin Mull and Leslie Jordan have made regular sitcom appearances in recent years, so they have plenty of experience and bring some good laughs here. 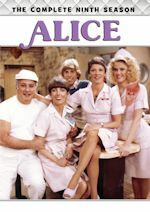 Vicki Lawrence has made some guest appearances, but this is her first sitcom starring role since Mama's Family. It's great to see her again in a starring role. She looks many years younger than her real age of 69, so she's another one that it's difficult to believe to be living at a retirement community. The cast has some great chemistry already, especially Grier and Lawrence. The "Pilot" episode has a couple notable guest appearances. Creator and producer Charlie Day plays Chet, the retirement community handyman. M*A*S*H star Jamie Farr makes a funny appearance as Dudley when Hank tries to auction off Jerry's seat. The Cool Kids has a very likable, talented and experienced cast. The chemistry between the cast is great already. It seems like they have been working together for years. The scenes between Grier and Lawrence are especially good. It's been far too long since Lawrence has starred in a sitcom, so she makes a welcome return. The cast really gives it their all. Charlie Day, the creator of the series, seems to have given them a lot of energy. 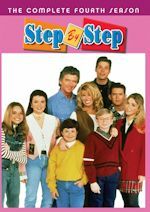 The series is similar to The Golden Girls with three men and a woman instead of four women. There haven't been too many series that have focused on older characters, so this provides a good change of pace. It should especially appeal to older viewers, but I think younger generations can enjoy it also. Everybody can relate as either being older or knowing somebody who is older. This is a very watchable series with plenty of laugh out loud lines and moments. The ingredients of a great cast, funny writing and a unique premise are all here to be a sleeper hit this season. They have a strong lead-in with Last Man Standing, which returned with strong ratings. They held a good portion of the audience, so it seems like it will have a decent chance of success as long as it stays in the same comfortable timeslot. Fox made a great decision to pair multi-camera sitcoms. It should be fun to watch the further adventures of this rowdy, rag-tag group of friends living at the Shady Meadows retirement community. Jamie Farr makes a funny appearance in the episode when Hank tries to auction off the seat. I would like to see some other classic TV stars make guest appearances. It would be cool to see a Martin Mull and Fred Willard reunion on the series. Discuss the show on our message board.